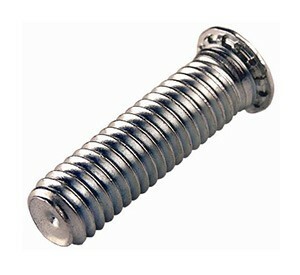 M4 X 20 PEM® brand self clinch studs, stainless steel. Image is representative of range. © 2014 - 2018 Appian Fasteners. All Rights Reserved.